However I am reliably informed that some of the post 1830 warming may possibly be part of the recovery from the little ice age. But the lag in the mixing of greenhouse gases between the hemispheres is only a year or two. And logically this implies that any warming from an enhanced greenhouse effect in the north will be closely followed in the southern hemisphere soon afterwards. The science of the climate influence on extreme weather events is in its infancy but with the assistance of greatly enhanced computer power is rapidly advancing. Still the difficulties of attributing a warming influence to events in 19th Century Australia remains. Was this event influenced by warming? How much was this event influenced by warming? 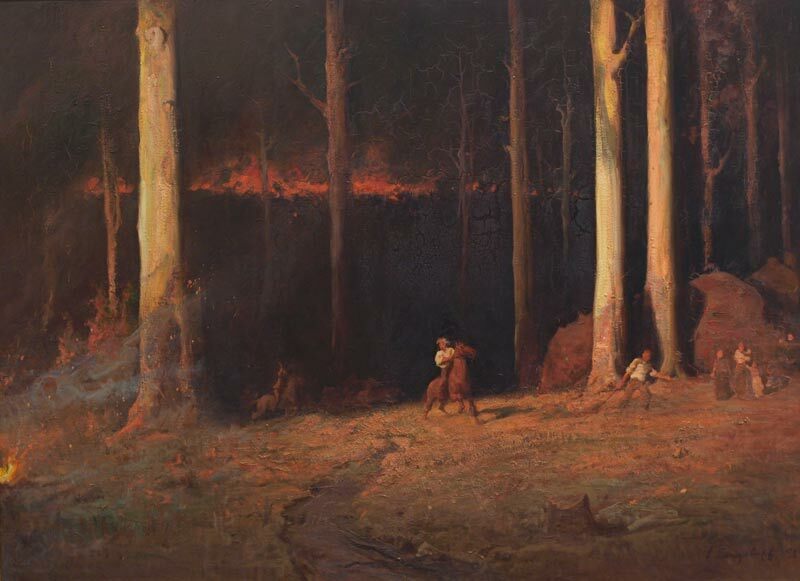 For instance were extreme weather events like the South Gippsland ‘Red Tuesday’ fires of 1898 and the early 1900s Federation drought affected by early global warming? If so, by how much? This remains unknown although logic implies anthropogenic warming may have at least partially influenced them. As we progress to the current century we can conclude, almost definitely, that ‘warming’ has affected all aspects of extreme weather events such as our devastating bushfires – that they are longer, bigger and occurring more frequently. Though still considered speculative within the vagaries of climate variation our region has probably been very gradually warming all our, and all our parent’s lives. And perhaps our grandparent’s lives as well? Now the pace of warming appears to be increasing rapidly and to paraphrase Swedish student Greta Thunberg “our house is on fire” and it is time “to panic”. In other words the climate emergency is upon us and action is long overdue.